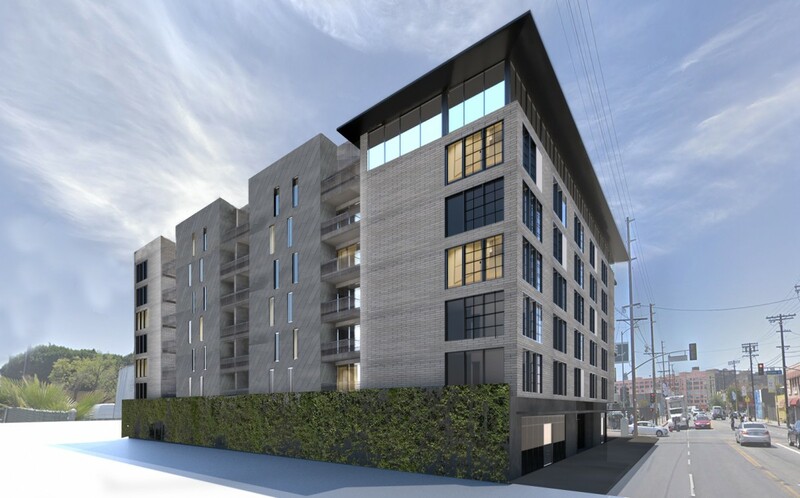 Referencing the existing purpose-built masonry buildings in the Arts District of downtown Los Angeles, the clean, elegant design for this new construction project is respectful to its immediate context and enhances the raw essence of the surrounding industrial neighborhood. Honoring the community’s core values, each of the project’s 122 units contains a minimum of 150 square feet of workspace. 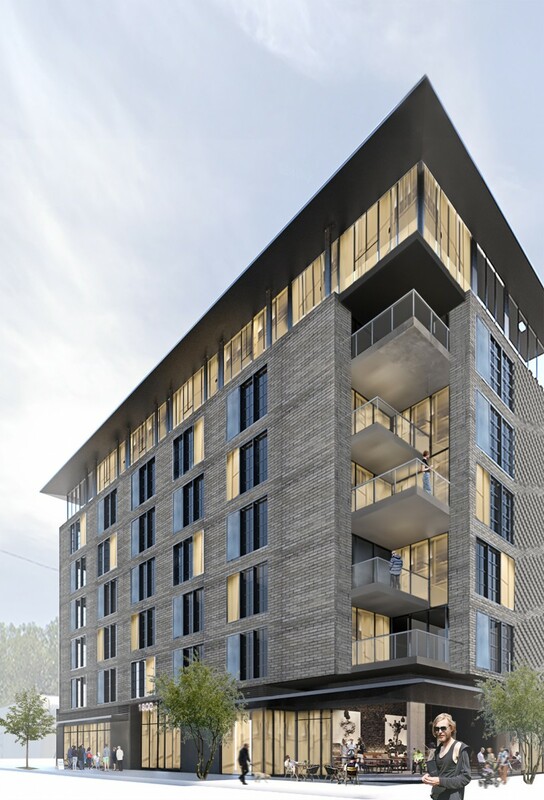 Residents will have access to a functional urban rooftop garden, and amenities on the second floor will include a courtyard with a pool, outdoor dining, and lounge space. The integration of private and public open space, balconies, and workspace position this project to positively contribute to its vibrant neighborhood of commerce, galleries, and living.